BQool partnered with product sourcing tool InventoryLab to make it easier for Amazon sellers to manage inventory and sell competitively with repricing features, and sellers can now populate their InventoryLab purchase price into BQool. The exciting new collaboration between BQool and InventoryLab has been implemented specifically to bring you groundbreaking software to effectively manage your inventory while enabling you to sell competitively on Amazon with the BQool Repricing Central. This solution has been expertly designed to eliminate tedious, time-consuming manual data entry tasks. 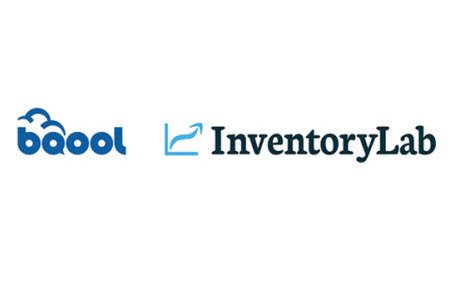 Over the past few months, we’ve been working incredibly hard to bring you this news and we are thrilled to announce that BQool is now fully paired up with InventoryLab. InventoryLab and BQool have always had a mutual desire to bring Amazon sellers the best tools to automate their Amazon business. Based on this, we decided to take our strong relationship to the next level. We proudly present the new feature which enables you to populate your InventoryLab purchase price into BQool. The new feature that we are proud to showcase to you has been designed to ease your administrative workload. To eliminate duplicate actions in BQool that you have performed in InventoryLab, we will synchronize the ‘Cost per Unit’ into BQool as the ‘Cost’. You will no longer need to manually populate the figures or upload the InventoryLab Closed-Batch report. You won’t need to decide which file type is correct anymore, you can now just sit back and watch all the cost numbers update in BQool. You can then continue to set up the min and max price as usual. We hope that you are as excited as we are about this new update. Please give this brand new feature a try and as always, we value your opinion so do get in touch with us with your feedback. All BQool users will be able to take full advantage of this fantastic new feature from 29th June 2018. InventoryLab is an all-in-one set of mobile and web-based tools that you can use to streamline your business. Scoutify simplifies product sourcing from your mobile device, so you can enjoy the experience of sourcing profitable products with confidence.